"Divorce is a difficult situation for someone who doesn't know much about laws and especially for someone who immigrated to this country. But Greg had a very positive attitude toward my case until the end. He was a reliable, quick problem solver. He was honest and straightforward. He clarified and explained the most important things to know and to fight in a divorce case. His attitude, support, and sense of humor touched me deeply" -Max R.
A dedicated, experienced attorney, Gregory Morphew is committed to fighting for the rights of his clients. A strong advocate, he’s a valuable resource for husbands and fathers in the Seattle area and is a great asset to the Goldberg Jones team in the Pacific Northwest. Prior to becoming an attorney, Gregg worked in law enforcement and the security industry for more than 25 years. This provided him a unique perspective on legal matters, as well as the opportunity to develop excellent interpersonal communication skills and experience crafting important documents. Before making the shift to family law full time, Gregg also practiced in business and real estate law. In addition to working as a practicing attorney, he’s an enthusiastic, passionate teacher. For years, he taught introductory and business law courses at South Seattle College. He is also a member of the Washington, Oregon, and Alaska bar associations and all federal courts within those states. Gregg is experienced in all areas of litigation, from drafting and filing motions, to negotiating settlements, and inside the courtroom. Detail-oriented and thorough, he’s an enthusiastic, compassionate litigator dedicated to pursuing an optimal outcome for his clients. 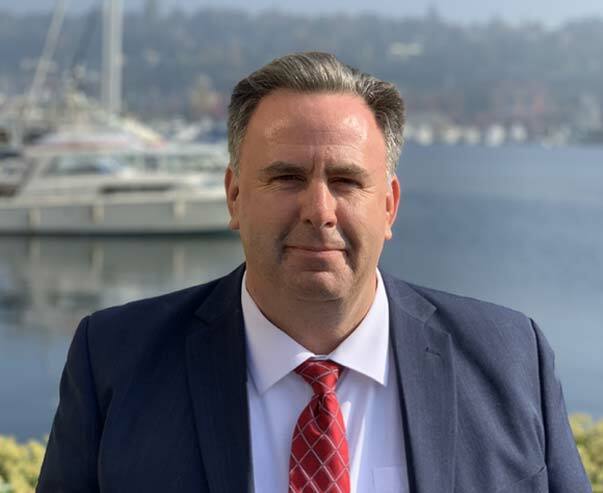 Approachable and dependable, Gregg’s experience and commitment make him an important piece of the Goldberg Jones team and resource for the husbands and fathers of Seattle, King County, and the surrounding areas.